Ilise and I visited the Melbourne Rotary Club for a wonderful lunch at Zinc, a wonderful restaurant at Federation Square. The meeting was very enjoyable and we met a number of locals as well as 3 other international guests, one from Canada and two from Des Moines, Iowa. The club was rather large compared to Carlsbad Hi-Noon and their guest speaker talked about one of my favorite topics of all time, Cricket. BTW, what is Cricket anyway? Anyhow, the speaker was really funny as he was the Press Liason for Australian Cricket and met all of the best players in history. While we were at the Rotary meeting the kids were doing their school work. This will be a regular process with Ilise and I being able to tour while the kids go to school. Not a bad deal for everyone involved. We returned to the apartment to pick up the kids and Karley and headed out for a walk to see the city. 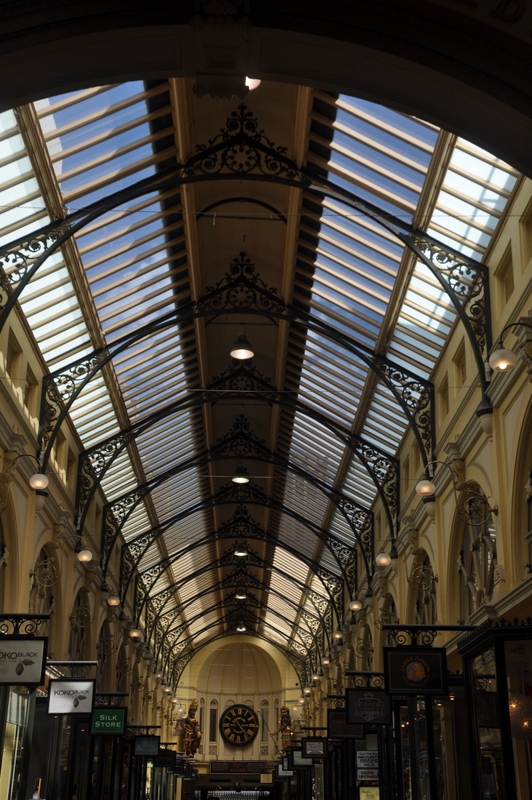 We walked through some of the small malls, with one of them called theGallery which is a copy from the Gallery in Milan. Ilise had been there and remembered the building. We originally walked through it with a Rotarian who walked us around after our luncheon. 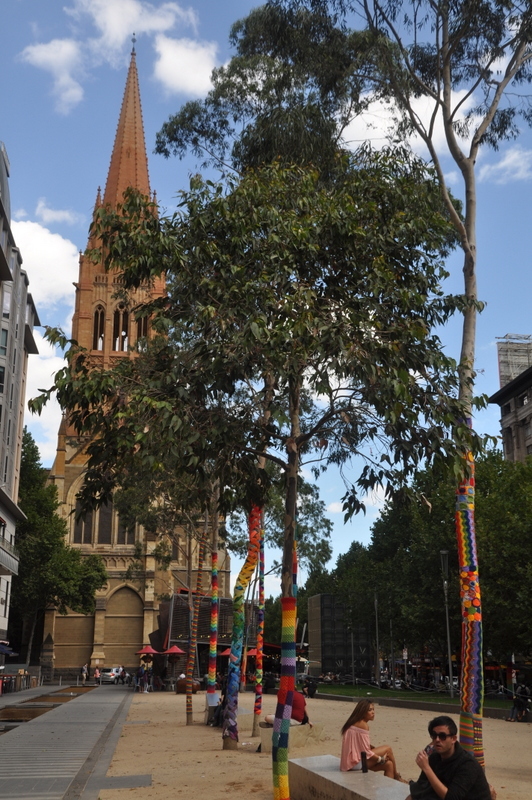 We walked past a beautiful cathedral down by Federation Square and just wandered around some different areas, one with a few dozen trees covered in crocheted pieces that acted like a little blanket. They were very cool. 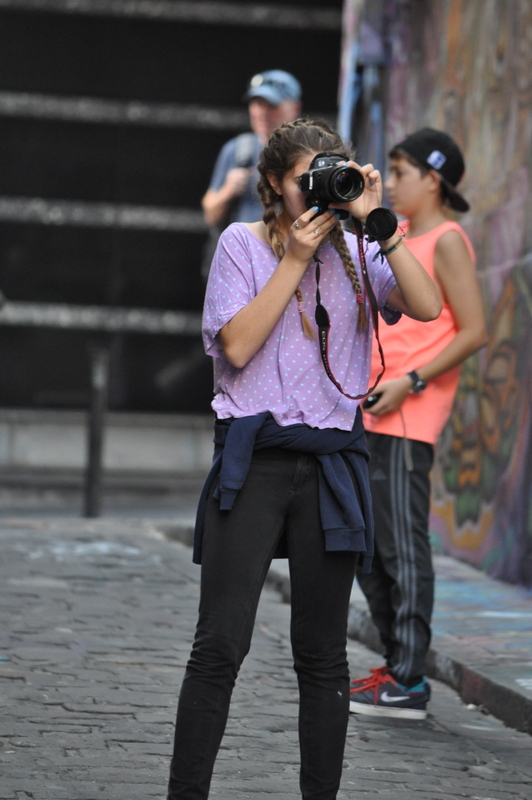 We ended up on Hosier Lane, which is a small street that is covered in graffiti. We met one of the artists who was commissioned to paint a fruit bat and will be finishing it over the next two days. Since we need to walk past that area to get to the Australian Open tomorrow we will probably check back and see their progress. 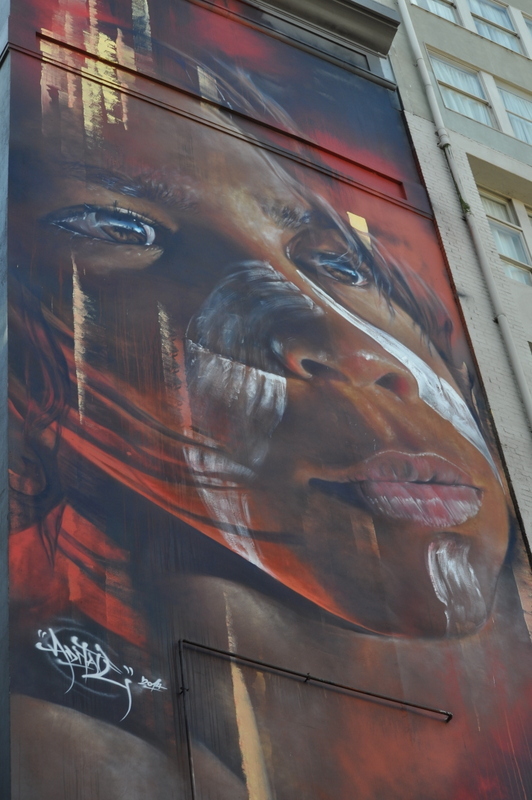 There were some amazing drawings, including a commissioned piece high on a building of a young man where the eyes were just amazing. We finished touring for today and headed back for dinner at the apartment. Need to get our rest tonight as we have a long day at the Australian Open tomorrow. 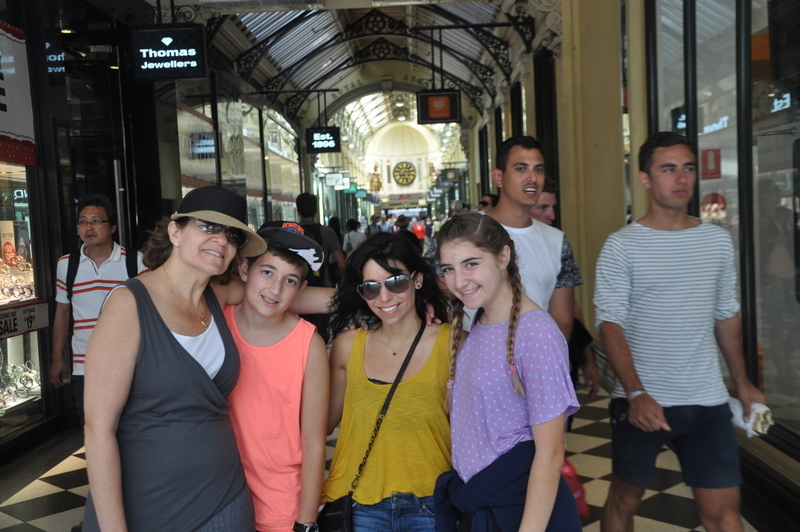 If you want to see all of the pictures from our day in Melbourne you can click here.